As we have already mentioned, any kind of dental or medical treatment costs a lot in the United States and if you do not have any kind of insurance, this cost is unaffordable. At Dayo Dental we bring you dental and medical tourism that gives you the treatment that you need at costs that are up to 70% cheaper than what they are in the United States. In addition to this the quality and care of services that are offered in Mexico is top notch. The doctors and dentists here only use state of the art equipment and technology making them a great favourite amongst our clientele. Another very important aspect of dental and medical tourism Mexico is the fact that every single treatment is available. No matter what your need is, you can be sure that we have a doctor or a dentist to take care of it. Our panel of experienced dentists can perform everything from a simple tooth extraction more complex procedures like root canal treatment, bridging and permanent implants. We also have a panel of specialists who can give you the very best treatment in cosmetic dentistry as well. Teeth whitening, bonding and veneering etc. are some of the procedures that are very popular with our clients. Since most of the medical tourism Mexico is concentrated in the border towns, our clients from the United States are never far from home. In fact, they are just across the border from the United States. 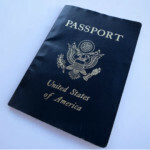 This makes visiting Mexico very convenient as there is minimal travel involve. For our clients who are located further north, there will be the additional cost of airfare involved. 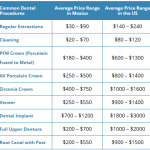 Even with the addition of this cost, it is still cheaper to get your treatment done in Mexico. The whole term medical tourism stems from the fact that you can visit another country for treatment and have a holiday as well. Our services in Mexico are no different. When we take our clients to Mexico on medical and dental treatment, we combine it with some holiday activities. You can opt for tours etc. in between your dental sessions and experience Mexico for what it is. That way you would have your treatment and seen another country as well.